In the previous Blog post, I returned to the theme of Collector Damage. Here is an item which made me think about it again. 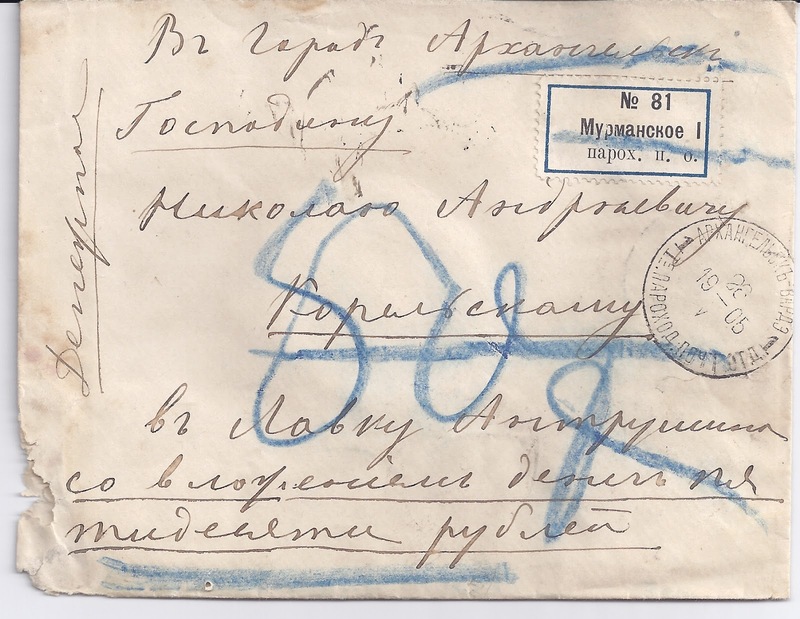 It's a Money Letter containing 50 roubles addressed to Archangel with an Archangel receiver cancellation on the reverse. From the original 1905 letter still contained in the envelope, it's clear that it was put on board the Vardø - Murmansk - Archangel steamship at the small port of Teriberka on the Barents Sea ( see Dr Raymond Casey, "Ship Mail from North-West Russia" in British Journal of Russian Philately, Number 63, 1986, pp 14 - 28). 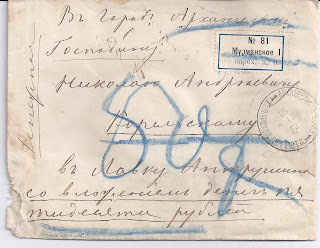 Since it was handed to the ship's postal clerk, it was supplied with a Money Letter etiquette # 81 which reads "Murmanskoe 1 Parokh P. O" - Murmansk 1[Steamship Number 1] Steamship Post Office. This label may be unique. And as a Money Letter it was then sealed five times in wax and the seals are also inscribed with the identity of the Archangel Murmansk Steamship Post Office and, if not unique, they are very rare. The cancellation on the front of the cover is recorded. But it's still a scarce cancel. And now for the Bad News - you have already noticed, I am sure. At some point someone very carefully cut out from the back of this envelope the stamps which franked it. 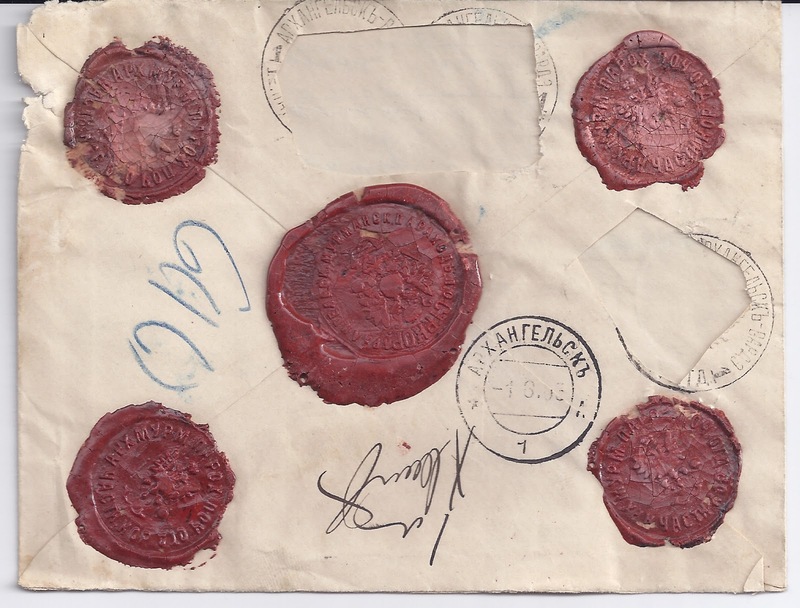 You can be 100% sure that the value of those stamps was and is of the order of 10 cents in any currency. The Good News is that the person with the scissors did not then throw the envelope in the bin.